This announcement is reposted from ABBS. 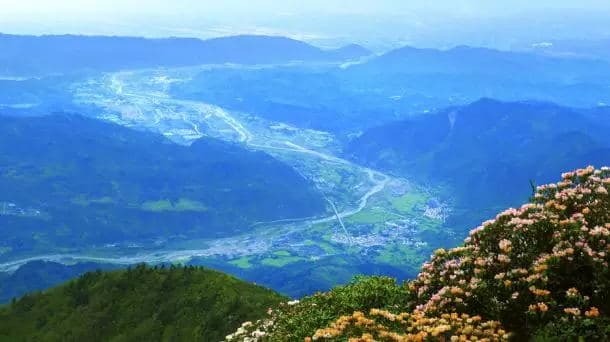 Located in the north of Pengzhou City, Sichuan Province,Jianjiang River Valley is within the core area of Longmen Mountains Tourist Area, about 10km from downtown Pengzhou. As a county-level city of Chengdu City about 30km from downtown Chengdu, Pengzhou is positioned as hub city of North Chengdu,tourist city of Longmen Mountains as well as innovative green industrial base. The origin of Jianjiang River is Honglong Pond, Yinchang Valley, Longmen Mountains, Pengzhou at an altitude of 4,020m, and the downstream position of Jianjiang is at an altitude of about 700m. Jianjiang River System is one of the birthplaces of the ancient Sichuan civilization.Jianjiang River Valley mainly covers Danjingshan Town, Xinxing Town, TongjiTown, Xiaoyudong Town, Longmenshan Town, and Bailu Town, with the peripheral coordinated area covering Cifeng Town, Guihua Town, and Gexianshan Town.Surrounded by mountains, Jianjiang River Valley is at the core of Pengzhou mountain tourism and reaches 2km at its widest. Such highland valley is rare in Chengdu and even in the country. With the construction of eco-tourism area,Jianjiang River Valley will develop into a beautiful business card of the mountain eco-tourism of the city. This competition is open to the world. Outstanding design agencies with relevant experience in urban plan, tourism plan, architectural design and landscape design are invited to submit application materials. 3. Scale: The planning scope of this project involves 9 towns of Jianjiang River Valley with the focus on the 6 towns in the core area, with a total area of 150km². Sichuan Longmen Mountains Cultural Tourism Development Co., Ltd.
3. Join design group shall have no more than 3 members and any group member can’t join the competition alone or with the other agencies. For joint design group composed of domestic agencies or domestic agency and oversea agency, there must be at least one member with Grade A qualification for urban-rural plan compilation or above qualification. For joint design group composed of overseas agencies, each member must have the legal business and design license in its originating country or region. 1. Tourist industrial development research: Based on the Planning for Mountainous Tourism Industry of Longmen Mountain, it shall identify the zoning of each tourism industry function and bring forward the industrial upgrading and development strategy. 2. Overall design: It shall include the overall orientation of Jianjiang River Valley, land layout, infrastructure construction, public services and tourism facilities, landscape system, waterscape system, etc. 3. Conceptual design of New Valley City, and the architectural and landscape design at important nodes. For New Valley City, the boundary of land used may be determined by relying on Tongji Town and referring to the overall planning and land use planning of this town. The total land planned for construction shall be at least 8km², in which the construction land available within the short term (non-established areas, not occupying the basic agricultural lands in the existing overall planning for land use) shall cover an area of at least 4 km². It is necessary to design the landscapes at the major traffic portal nodes and the important landscape nodes of New Valley City, etc. ; and carry out the conceptual schematic design of at least 1 important building or key project of each town in the core region. 1. Application time: 9:00, March 30, 2018 to 14:00, April 22, 2018 (Beijing Time, hereinafter). The applicant shall mail the physical application document to the host before the deadline. For the mailing document, the receival time should prevail as the submitted time. 2. For the requirements of the application document, please refer to https://pan.baidu.com/s/1nmMkXKCT2KG5TPDMu-o_Xw. 1. 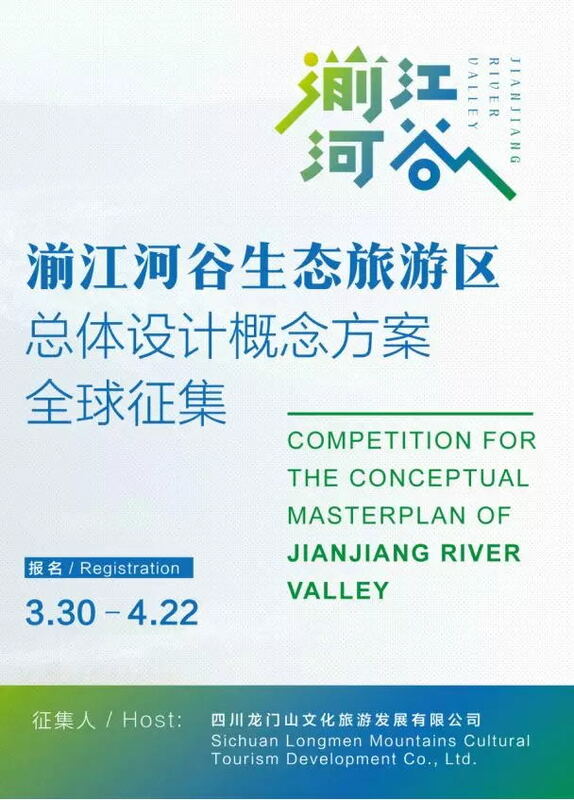 The host will select 6 shortlisted competitors from the applicants to draft the conceptual masterplan for Jianjiang River Valley. 2. The 6 shortlisted competitors shall submit the deliverables according to the Competition Document issued by the host and each of them will gain a design compensation of RBM 1,500,000. 3.The scheme review jury will review on the deliverables and select 3 competitors for the Outstanding Achievement Award and the government department in charge will decide the final winner of the competition from these 3 competitors. And the final winner will be awarded with a contract of RMB10 million for the developing of the conceptual masterplan and 2-year general control and consulting service,while the other 2 award winners will each earn a bonus of RMB1,500,000. 4. The compensation,award and contract fee in this article refers to the amount before tax (tax included) and will be paid in RMB. 5. Right of interpretation: The host reserves the right for the interpretation of this competition and relevant competition documents. The official competition announcement will be released on the following media: China Daily (Flagship Edition, U.S. Edition), Ta Kung Pao, Sichuan Daily, Chengdu Daily, China Tendering And Bidding Public Service Platform(http://www.cebpubservice.com), WeChat account and website of ABBS.